Every penny spent on lighting, heating and cooling reduces your net income cent for cent. The long held assumption that high utility bills are an unavoidable cost of doing business is no longer viable in today’s highly competitive environment. Your work force can be more productive as a result of a more comfortable and healthy environment. Reconfiguration of systems to match the evolving use of your building space and potentially increase occupancy rates. Updating systems utilizing available grants, loans and rebates can raise the value of your property at little or no cost to you. Electricity generation prices have not yet risen significantly due to the purchase of futures contracts, but it is inevitable that you will be paying more for energy in the years ahead. And those increases will come out of your potential profits. 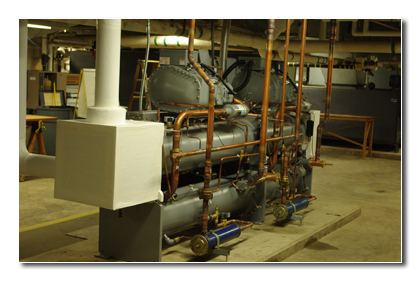 Now is the time to take charge of your facility’s energy consumption by retrofitting or replacing inefficient systems and improving the efficiency of your facility. A.A. Duckett, Inc. can be your one-stop shop to maximize your energy solutions. We are also available to work with you or your consultants in any part of the process. Let A.A. Duckett, Inc. put nearly a century of service to work toward benefiting your bottom line.